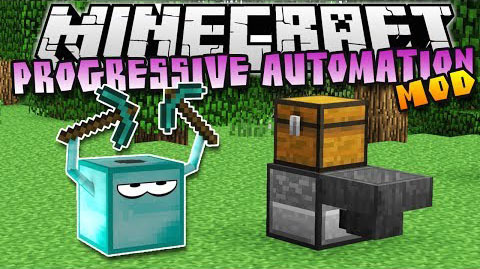 Progressive Automation Mod adds to Minecraft low tech automation tools for common tasks, which are usually updated as long as the player progresses. A simple tree farm that and plant and chop trees. Upgrades can be used on most of the machines in PA. The upgrades do different things depending on the machine they are used it. You can only use the same tier upgrade as the machine you are trying to use it in. You can get the upgrades back from a machine by breaking it. 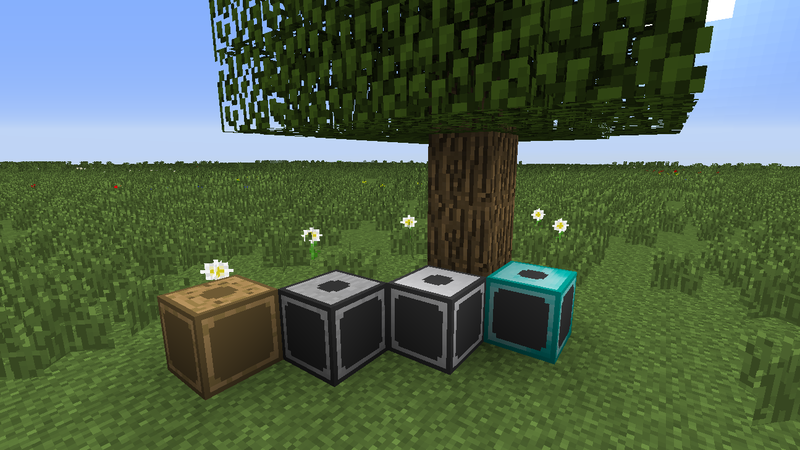 The RF engine is the core of all RF support for this mod, all generators need at least one in their crafting recipes and any machine you want powered by RF will need one inside. When machines are crafted they do not accept RF, to make them accept it you will need to add one of these Engines into its fuel slot. Once you do then the machine can be connected to generators and other mods cables. The energy that the machine stores will then be stored in the Engine itself so it’s possible to move the engine from one machine to another without losing the energy stored. By default (can be changed in the configs) the engines can store 40,000 RF. Cobblestone – Blocks that are mined are replaced with cobble, you need to supply it constantly or it will stop. A pickaxe – The miner will use the pick to mine blocks, it will take durability but you can also enchant it. A Shovel – Like the pick, the miner will use the shovel to mine blocks like dirt and sand. The tools can only be up to the same level as the miner, so you can only put wooden tools in a wooden miner, and you can put wooden, stone and iron tools in a iron miner. Once running the miner will attempt to keep the cobblestone and fuel filled with the items that it mines. If the internal inventory is full the miner will eject items into the world. It will also automatically put items into any inventory (like a chest) on top of the miner. By default the miner will only mine directly underneath it but the range can be upgraded by a single block with each additional upgrade that is put into it. You can put as many upgrades as you wish into the miner but the upgrades need to be of the same type of the miner. To get the upgrades back just break the miner. To start out using PA for getting lumber you will need to make a wooden chopper. The axe can only be up to the same level as the chopper, so you can only put a wooden axe in a wooden chopper, and you can put wooden, stone and iron axes in a iron chopper. Once running the chopper will attempt to keep the saplings and fuel filled with the items that it harvests, so make sure to keep the fuel topped up or else it will start to burn the wood as fuel. If the internal inventory is full the chopper will eject items into the world. It will also automatically put items into any inventory (like a chest) on top of the chopper. The speed at which the chopper will break leaves will be faster when using a higher level chopper and does not depend on the level of the axe used. PA bas a very basic generator that will produce RF by burning any furnace fuels. The generator can be connected with any RF support mod pipes, conduits and cables as well as powering any adjacent machines. It comes in 4 tiers and all tiers produce the same total amount of power from the same item burnt, they just do so at different speeds. There is a whole rake of them, you can basically OP the crap out of the mod or disable it all.